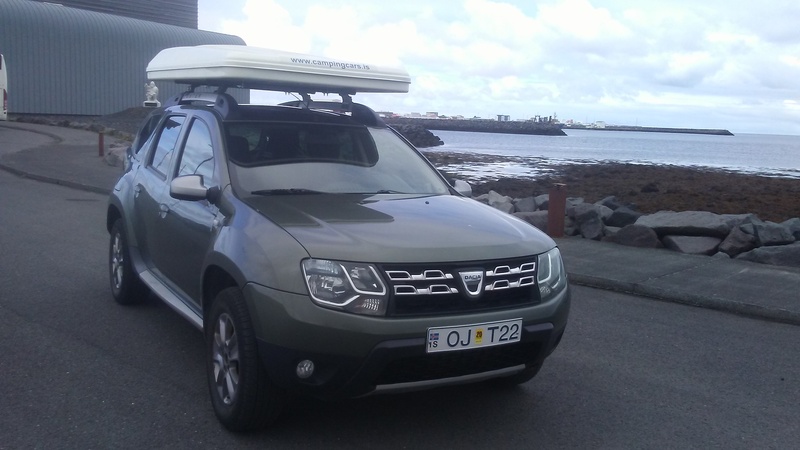 Dacia Duster 4x4 car with seats for 5 persons and sleeping area for 2 persons. 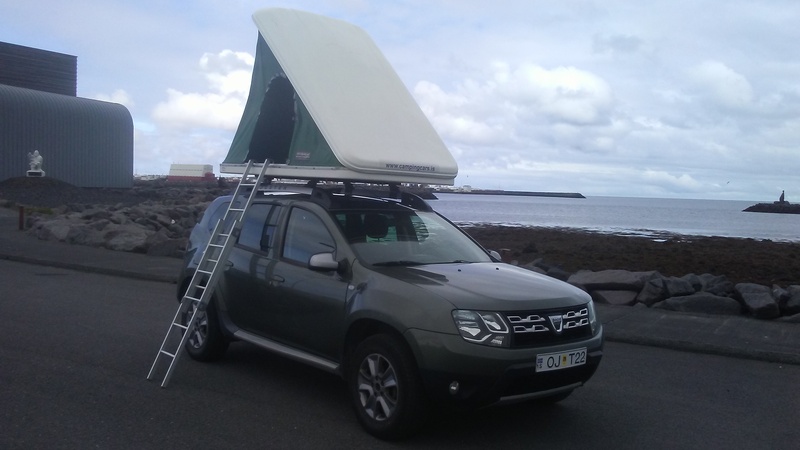 The roof tent is placed on the roof of the car. You can travel around the highland F-roads with out worrying about where to stay. 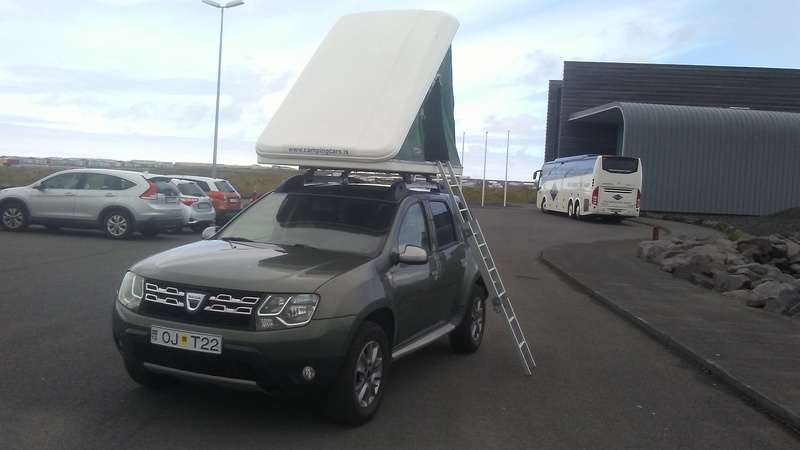 It has a comfortable sleeping space for 2 adults. Model 2013-2016, 4WD, Diesel, 1500cc, Radio w/CD, Power steering, Electric Windows, Central Locking, ABS Brakes. Suitable for F-roads. Unlimited mileage.